Christine is the former Chief Executive of the Centre for Excellence and Outcomes (C4EO) in Children and Young People’s Services working with every Local Authority in England, Health Services and the Voluntary and Community sectors. Christine also established and led the previous Government’s ‘Narrowing the Gap’ national programme which identified leading practice in improving outcomes for vulnerable children and young people and helping close the ‘gap’ between advantaged and disadvantaged groups. 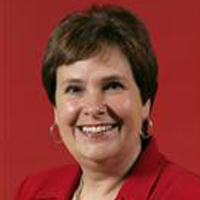 She was formerly the Director of Children’s Services, Telford & Wrekin Council (1997–2007) and under her leadership, the Council was awarded Beacon Status for ‘Integrating Children’s Services’ and ‘Early Intervention (Children at Risk)’; Best Council in England (LGC Awards) and Centre of Excellence (Prime Minister’s Delivery Unit). Previously a teacher, psychologist and Director of Children’s Services, Christine has advised successive British Governments on education, child poverty, safeguarding and early intervention and has also advised the Australian, Netherlands and Russian Governments. She is currently a member of the Youth Justice Board for England and Wales; is a trustee of the Early Intervention Foundation; a member of the Advisory Board for the Office of the Children’s Commissioner; and chairs two Local Authority Children’s Improvement Boards and an LSCB (Local Safeguarding Children’s Board). She is also leading seminars for Headteachers and their senior teams on Safeguarding in Schools, across all regions in England. Christine was awarded the CBE in 2005 for ‘an outstanding contribution to education’. Dr McCulloch was appointed Chief Executive of the Picker Institute Europe in September 2013. The Institute is a world leader in research and development into patient experience and person centred care. 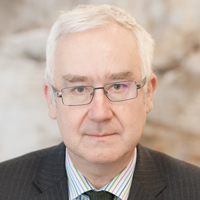 Prior to his appointment, Andrew was CEO of the Mental Health Foundation for 11 years, and Director of Policy at The Sainsbury Centre for Mental Health for 6 years where he established a reputation as a leading authority on mental health policy. He was formerly a senior civil servant in the Department of Health for 16 years. He has spoken and published widely on health and social care issues. Andrew’s other experience has included being a school governor, the non-executive Director of an NHS Trust, a Trustee of a number of charities, and the Chair of Mental Health Media, a charity dedicated to giving people with mental health problems and learning disabilities a voice. He is the Patron of Healthy Minds: Calderdale Wellbeing. He has chaired or served on a range of national advisory committees. Andrew has a PhD in psychology from the University of Southampton and a MA in Natural Sciences from Cambridge. He has received a number of awards for his research and policy work including the President’s Medal from the Royal College of Psychiatrists. He has worked in a wide range of countries in Europe and the rest of the world as an expert adviser on health and social care policy. Denise has a background in social care and has held a number of leadership positions in the public and third sectors at national and local level. She was Chair of the Commission for Social Care Inspection having previously been Chief Inspector of the Social Services Inspectorate in the Department of Health. She was Director of Social Services in Hammersmith and Fulham and is a past President of the Association of Directors of Social Services. As a student, she spent part of her training at the Family Welfare Association (now Family Action). Denise now has a portfolio of interests. She is Chair of the National AIDS Trust and a member of the General Medical Council. She is also a Trustee of the National Society for the Prevention of Cruelty to Children (NSPCC), a Trustee of the Lloyds Bank Foundation for England and Wales and a member of the Advisory Board of the NIHR School of Social Care Research at the LSE. Recently she has been appointed Patron of MHA (Methodist Homes for the Aged). Denise was awarded the DBE in 2004 for services to social care. Katie Vanneck-Smith is co-founder and Publish of Tortosie Media with James Harding and Matthew Barzun, Katie has now left the corporate bosom of News Corp after more than 20 years. Prior to this new adventure as an entrepreneur, Katie was the President of Dow Jones, publisher of The Wall Street Journal, where she led the company to over 3m subscribers. The largest number in the Wall Street Journal’s history. She has previously worked at the Telegraph Media Group and The Times, where as Chief Marketing Officer, she was the architect of the newspaper’s early move to paid digital subscriptions. 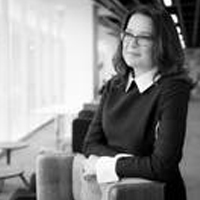 She created the UK’s first news membership brand, Times+, and oversaw the events programmes, including both the Wall Street Journal CEO Council and the Times CEO Summit. She has been named Pioneer of the Year at the British Media Awards and is also vice-patron here at, Family Action. Katie is married to Nick Smith, with one son called Stanley. Harriet Ward is Research Professor at Loughborough University. She founded Loughborough’s Centre for Child and Family Research (CCFR) in 2002 and directed it until she stepped down in April 2014. Between 2010 and 2014 she was also co-director of the government-funded Childhood Wellbeing Research Centre – a partnership between the Institute of Education, University of London, Loughborough University and PSSRU, University of Kent. She has over 20 years of experience both as a research director and field researcher, as an adviser to policymakers and service providers, and as a social work practitioner. 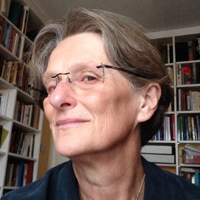 Harriet’s research focusses on the relationship between the state and the family both now and in the past. Previous studies include the development and piloting of a methodology for assessing outcomes of local authority care (the Looking After Children Project); studies of the relationship between costs and outcomes in children’s services and an empirical study of the experiences of children who entered the Waifs and Strays Society (Children’s Society) in the nineteenth century. Current research studies include an eight year prospective longitudinal study of infants suffering, or likely to suffer significant harm, the development of a pre-birth risk assessment pathway (with University of Warwick), and a major study (with Barnardo’s Australia and the University of Technology, Sydney) of outcomes of open adoption in Australia. Findings from this research programme have underpinned developments in policy and practice concerning child protection, looked after children and adoption in the UK, the USA, Australia and parts of Europe. 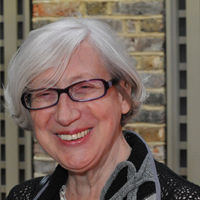 Harriet was awarded a CBE for services to children and families in June 2012.